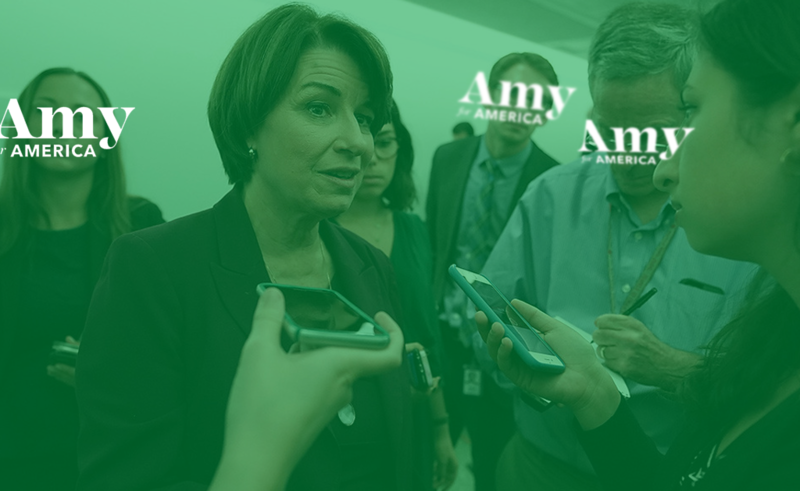 I had no idea who Amy Klobuchar was until around mid-2018. And to be honest, I still don’t know much about her except that she hails from the frigid midwest and she likes to give speeches in snowstorms. It’s clear what Klobuchar is up against as one of the newest Democratic candidates for president. No one knows who she is, she may have been rude to her staffers, and she’s gearing up for a primary fight that is bound to be both intense and nasty. And to add to her challenges, she’s a female who is running in the aftermath of Hillary Clinton’s 2016 upset. So, what is one to do? I guess pick a chunky serif font and throw in a splash of green. Fridays are a sacred day. They should be reserved for tying up loose ends before 5 P.M. and preparing for a weekend of solace. It is not, however, the day that you should: A.) Announce your candidacy for president, nor B.) do so by unveiling a logo that leads one to believe you’d be a better president of an insane asylum’s equivalent of a student government. Cory Booker did both today. And it damn near killed me. The New Jersey senator, who likes to compare himself to Spartacus, announced his candidacy for the Democratic nomination for president on Friday. And what did we learn about the senator from New Jersey? That he hired a graphic designer off Fiverr and a website developer from the local community college. Let’s break down why I’m so vividly angry over the Booker 2020 brand identity.